I have the most ultra thick hair. 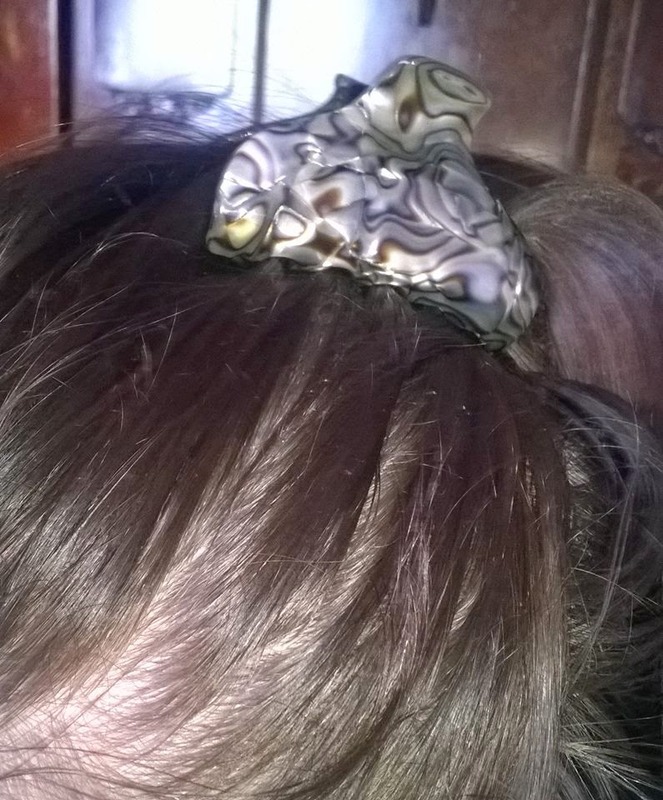 I wear it up most days as its so heavy when I have it down and it irritates me so much. 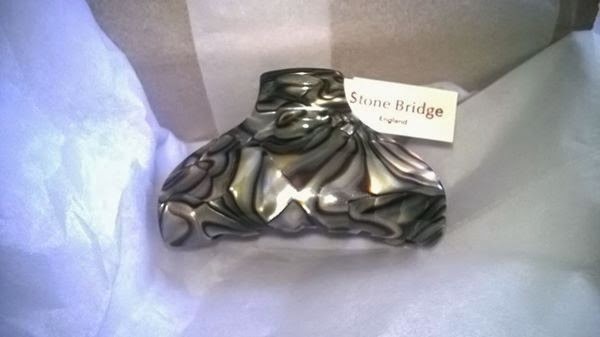 Stone bridge hair accessories sent me a fat capitaine large clamp to review and share my thoughts with you all. First of all I was sent a hair questionnaire to see which accessory would suit me best, which is great for that extra detail as I know in the past I've brought pretty clips and they just fall out my hair after a few minutes. 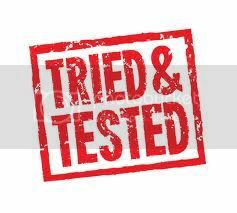 Its great to know stone bridge have your best interests at heart with choosing whats right for you. 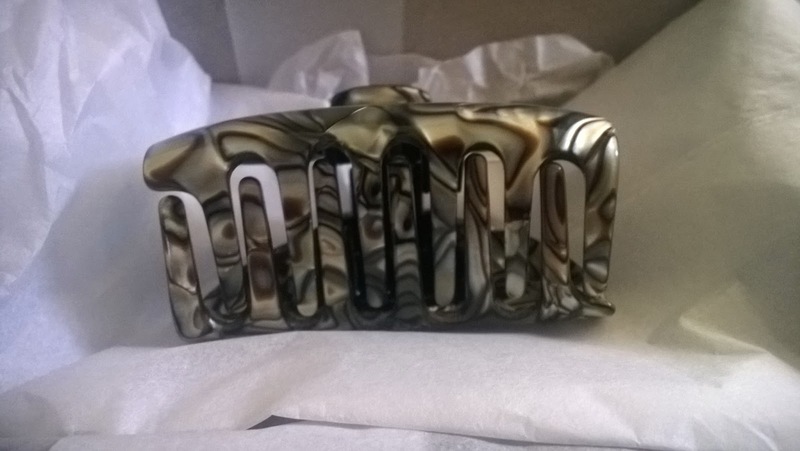 The clip took just 48 hours to come, it come packed beautiful in a box which give its that special feature it would be perfect as a gift straight from the company. The design is a stunning silver shell effect which has a pretty effect when the light catches it its so sparkly. The clip has the main teeth then an extra set inside to make sure the hair stays in place and where it should be so no slipping out. 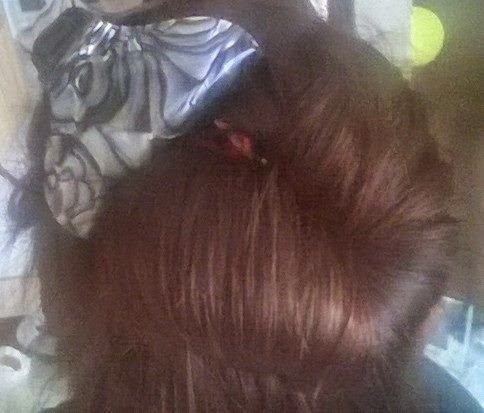 I've worn the clip in all different styles up clipped in bun, hair rolled and clipped at the back and I've used the clip to do a half pony at the back & its stayed in until I've taken it out myself which has lasted all day. I think paying that extra is worth it for top quality products rather than the ones you pay a couple of quid for that break in a few wears. I have a similar clip from Stonebridge. Again very pretty and eye catching. Only problem is I have very long hair and hopeless at putting it up ha.